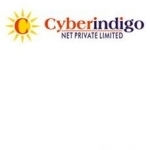 Cyberindigo is looking for freshers and Trainee, results driven IT Software Sales executive, who will be responsible for growing revenue through targeting and developing new business accounts with a focus on delivering IT consulting services to the business markets. Must be self-motivated, driven and able to succeed in an entrepreneurial environment. Must have a proven track record in prospecting, establishing and maintaining profitable account relationships selling IT services. The ideal candidate will be highly driven and possess outstanding client presentation abilities and superior communication and interpersonal skills.